'Mount Bruno' is an extra-hardy, globe-shaped boxwood that was found by Andre Poliquin in Quebec, Canada. 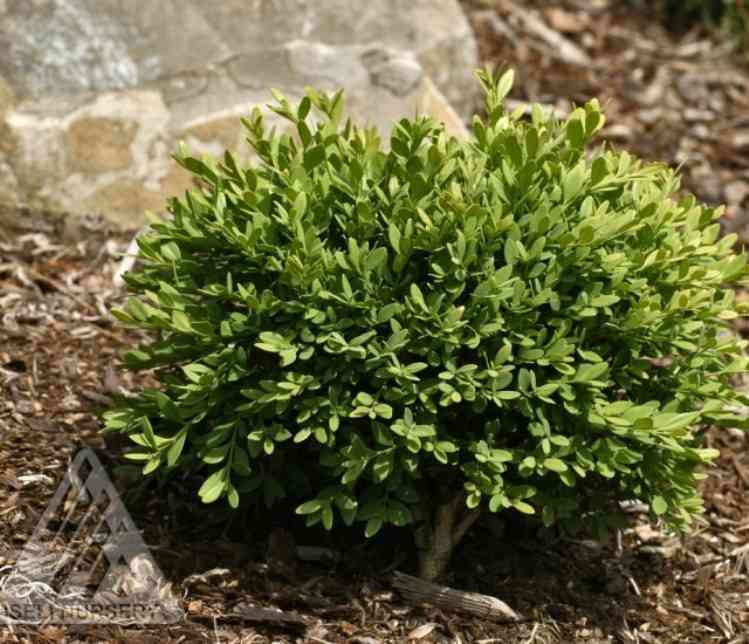 It boasts tiny, dark green leaves that provide a smaller texture and scale than other boxwoods. It is hardier than other varieties and more suited to our area. It flowers in the spring with tiny greeny yellow flowers that are fragrant but insignificant in size. In our garden this Boxwood has never experienced winter dieback. Boxwoods would prefer to have cool, moist roots and protection from hot afternoon sun. They will tolerate full sun if well mulched and adequate moisture is present. They are adaptable to a range of soil conditions. They can be pruned or shaped at any time of the year although pruning is seldom necessary. Until established young plants should be protected with a wrap in the winter.